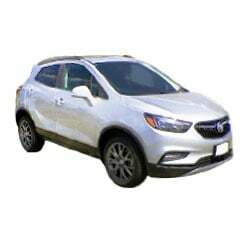 The 2019 Buick Encore has great potential for any interested subcompact SUV buyer. It ranks at the top of its class in many categories. It makes a great option as an enhanced version of the daily driver. Its quiet cabin and top notch interior make it a pleasure to drive, and the safety features and add-ons make it a great overall option. In a category that is teeming with fierce competitors, the Encore has been a consistent top contender. Buick has reduced the number of its trim levels in 2019. In 2019 you have your choice of the base model 1SV, the Preferred, the Sport Touring and the top of the heap Essence. All of the features and add-ons are still available in 2019. The options are divided amongst the various trim levels with the Essence trim offering the buyer access to everything Buick has to offer. The 2019 Buick Encore offers a very quiet and comfortable ride. This detail is often overlooked by car buyers. The Encore features active noise cancellation, and every effort has been made to keep the cabin serene and comforting. The interior of the Encore is plush and nicely laid out. The Encore also features a standard eight inch touch screen and enhanced 4.2 inch driver information center. It features one of the better interiors in its class with premium materials and a variety of interior colors. The Encore seats five comfortably and the driver’s seat offers a commanding view of the road. The base model of the Encore comes with a lot of goodies for the base price. You get standard 4G LTE Wi-Fi and an eight inch touch screen. WiFi capabilities are more than adequate offering coverage both inside the vehicle and out. Also standard are Bluetooth capabilities and steering wheel mounted controls. The Encore also comes with standard push button start and stop. The standard rearview camera and OnStar round out the base model offerings. The Encore comes with a four-year/50,000 mile warranty and a six-year/70,00 mile powertrain coverage. 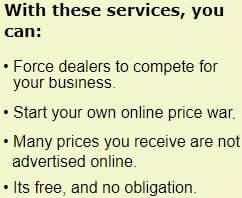 This warranty ranks above many competitors in this class like the Mazda and Honda. The Encore has numerous driving safety options including: lane departure warning, blind spot monitoring, forward collision warning, blind spot monitoring and cross traffic alert. All of these features enhance the driver's awareness when driving and can prove invaluable during dangerous situations. The Encore also gets very high marks from the NHTSA, scoring five stars in all categories except rollover crash tests. The Encore scored four out of five stars in the rollover crash tests. Fuel efficiency is always a concern in the SUV category. Even in the subcompact set you will find a wide range of fuel efficiency. The Encore gets better than average fuel economy for its class. For FWD models, you can expect to get 27 mpg city and 33 highway. You can upgrade to the AWD models and still get 26 mpg city and 32 mpg highway. The myBuick app has been included in the upgrade options for the Encore in the top trim levels. This mobile device application can help drivers with remote access to the vehicle. The app allows drivers to complete tasks like locking and unlocking the vehicle, activating the lights and horn, and even locating the vehicle. If the Encore has remote start, the app will let you activate that as well. The app also offers access to the owner’s manual, roadside assistance and even gives parking reminders. The Encore offers many exciting upgrades at all trim levels. Though it did away with two trim levels for 2019, all the features and upgrades are still available. All Wheel Drive and intelligent safety features are available on the Preferred trim. The IntelliLink system, navigation, remote start and optional 153 HP engine are available on the Sport Touring trim. The Essence trim level adds leather upholstery, heated seats and steering wheel, rain sensing wipers and advanced safety features just to name a few. If you are looking for the cargo capacity of an SUV, the 2019 Buick Encore offers plenty of options for hauling. It features 60/40 folding rear seats for nearly 50 cubic feet of cargo space. The Encore has longer items covered as well with a fold flat front passenger seat. With all the seats folded down you will be able to haul items up to eight feet long. The Encore was designed with cargo hauling in mind and offers an optional cargo shade. The Sport Touring and Essence trim levels of the 2019 Buick Encore bring the option of upgrading from a 138 horsepower four cylinder to a more powerful version that is rated at 153 horsepower. Both engines are paired with a six speed automatic transmission. The upgraded engine offers much needed acceleration and passing power to the Encore. The standard 1.4 liter turbocharged four cylinder in the 2019 Buick Encore has been said to be a bit sluggish. The 138 horsepower engine lacks acceleration, though it does get better than average gas mileage. There is an upgrade option, but you cannot get it at the base trim level. While the Encore may not be the most aggressive driving option in the category, it does allow buyers to step it up a notch when upgraded to the sport engine. The 2019 Buick Encore comes at a higher than average price point compared to other vehicles in its class. Buick has put a lot of effort into making a very high quality vehicle of the Encore. The base model price is slightly higher than comparable models from other manufacturers, but the quality and standard features can make a difference to some buyers. The 2019 Buick Encore has not been updated significantly since its redesign in 2017. It still has high quality design elements and standard features, but nothing new. Some buyers may be put off by the lack of changes and improvements. When it was redesigned in 2017 it ranked at the top of the category and not much has changed since then. The Encore has a lot to like compared to the competition. It may be slightly more expensive, but the Encore delivers a quiet ride and all the best a subcompact has to offer. It has better cargo space than the Mazda CX-3 and the Hyundai Kona, which are also class leading vehicles. The Buick also offers luxurious refinement that the Kona and Mazda CX-3 lack in the base trim levels. The Encore shares similar structure compared to the Chevrolet Trax, and they have the same base engine. The Trax, however, simply can't match the refinement and style of the Encore. The Mazda CX-3 does better the Encore in the engine department and may be more fun to drive, but the Encore makes up for the sluggish engine with maneuverability and agility. The 2019 Buick Encore has been a leading subcompact SUV since its redesign in 2017. It still checks all the boxes when it comes to fundamental SUV necessities. It offers great standard features, has excellent safety appeal, offers particularly good cargo space for its size and offers drivers a satisfying ride for daily use. The Encore also offers a more aggressive engine option and high end features for those willing to pay a little more. For these reasons and the rest listed above, the Encore still sits near the top of the list of subcompact SUVs that buyers should consider.